Description: Engie is a global energy player and an expert operator in the three businesses of electricity, natural gas and energy services. The Group provides individuals, cities and businesses with highly efficient and innovative solutions largely based on its expertise in four key sectors: renewable energy, energy efficiency, liquefied gas and digital technology. Revenue: 66,6 billion EUR (81,6 billion USD) in 2016. 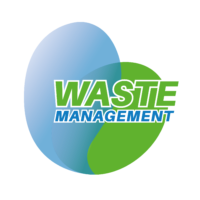 Description: KSWM is a waste management company acting in the region of Kompong Som. Devenco wrote the financial and operational business plan and participates in the management of the company. Devenco wrote the financial and operational business plan. Description: Kep Estate Properties provides integrated solutions in real estate sector: conception, construction, property development, property management and real estate agency. Participation: Devenco represents Webdrone in the region and acts as a facilitator. Description: Webdrone is a French company which was set up in 2011. Their expertise, know-how and experience in the area of business intelligence and cybercrime have enabled them to develop a versatile tool for monitoring and for fighting against the various forms of cybercrime. Webdrone targets all forms of cybercrime by setting up tools and methods to detect promptly online disseminations which could be a threat to the essential goods of an organization. Devenco represents Webdrone in the region and acts as a facilitator. Description: Beetle Environmental Solutions is conducting environment-related studies across the country, with a specialization in Environmental Impact Assessment for various projects. 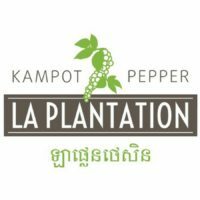 Description: La Plantation manages 22,000 Kampot pepper poles on around 20 hectares. They grow the pepper in a traditional, organic way, in strict compliance with the PGI standards for Kampot pepper and use only organic fertilizers. They also grow other spices like Long pepper, Turmeric and wild Chili and local fruits and vegetables. La Plantation is one of the few farms to be Certified Organic by Ecocert SA and is employing more than 100 Cambodian employees full-time (150 more during harvest season).